Ever since it touched bottom on March 9th, 2009, the market has been going up and up and up with barely any hiccup. That’s dangerous! Because our minds could get complacent. That’s why I want to do a mental exercise with all of you: What would you do if the market fall 30%? So instead of seeing a 30% fall a bad thing: a horrible hit to your wealth, how about seeing that as a good thing: a deep discount of productive assets on sale that happens only once every decade. Here is what you should do before, during and after a 30% fall of the market. Start with having an appropriate asset allocation. Depending on your age and risk tolerance, maybe it’s a 70/30 portfolio, or a 60/40 one, or a 50/50 one. Stick to it through good market and bad. Let’s take a 50/50 portfolio for example. After the (stock) market tumble of 30%, the portfolio becomes 35/65. To rebalance back to 50/50, you must sell appreciated bonds and buy discounted stocks. When you do the above over and over, you create a system of buying low and selling high. An additional note on rebalance, to keep it simple, you can rebalance every year. The optimal rebalance however, is opportunistic not periodic. The research on that was published in Journal of Financial Analyst and it suggests a rebalance when an asset class has deviated from its target allocation by 20%. When this is done right, you can add about 40 basis points in excess return. 1 Response to "What If the Market Fall 30%?" It would seem to me, now that we are at all time highs, each day brings us closer to a major adjustment. In thinking this, one could partially sell the gainers to raise about 30-35% of the portfolio in cash. 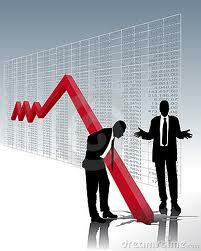 When that goal is reached, retain that cash for the buying opportunities presented by the correction. Not many have the discipline to do this, Holding cash undermines the earning power of the up cycle, and greed pushes us on. Investing 100% in equities amplifies the down cycle, and without cash we all fear that. It would be a personal choice based on the individuals aversion to risk and desire to enhance positions buying things on sale.